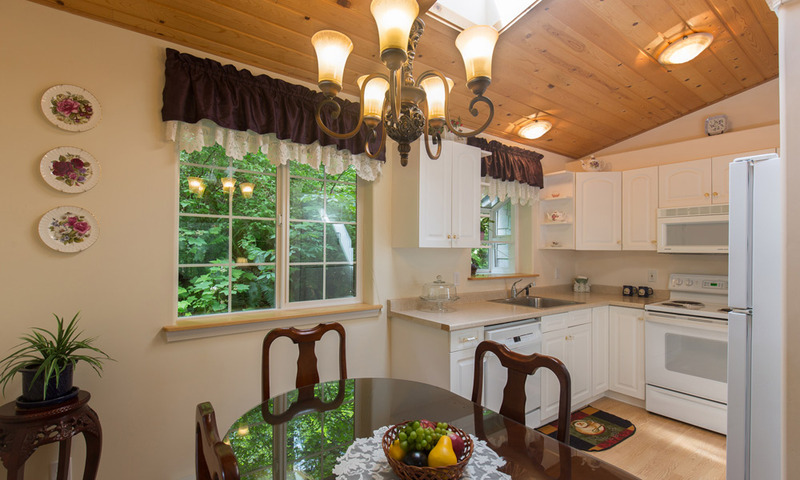 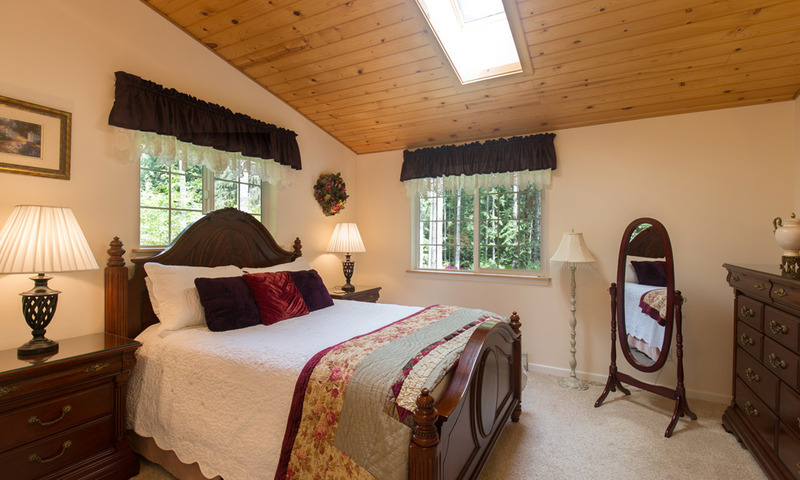 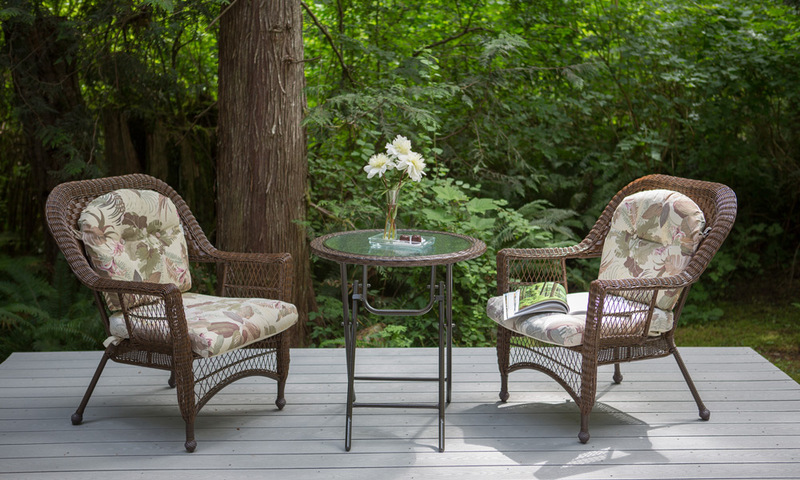 The Sweet Heart Cottage has elegant decor featuring dark wood and rich furnishings. 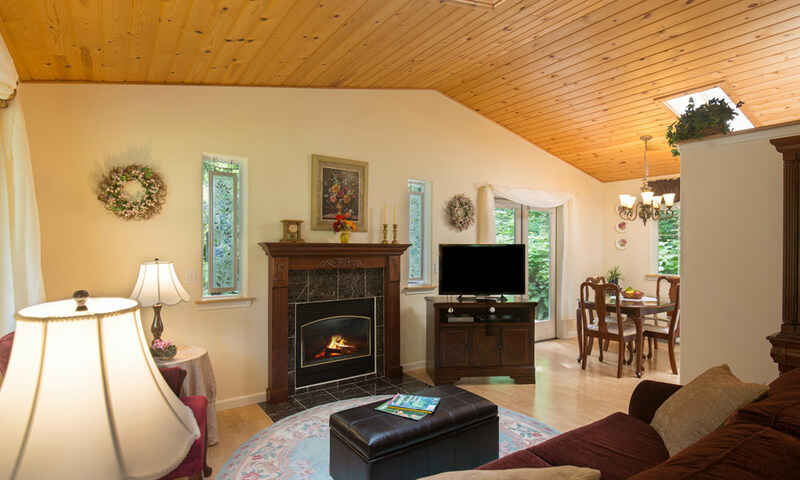 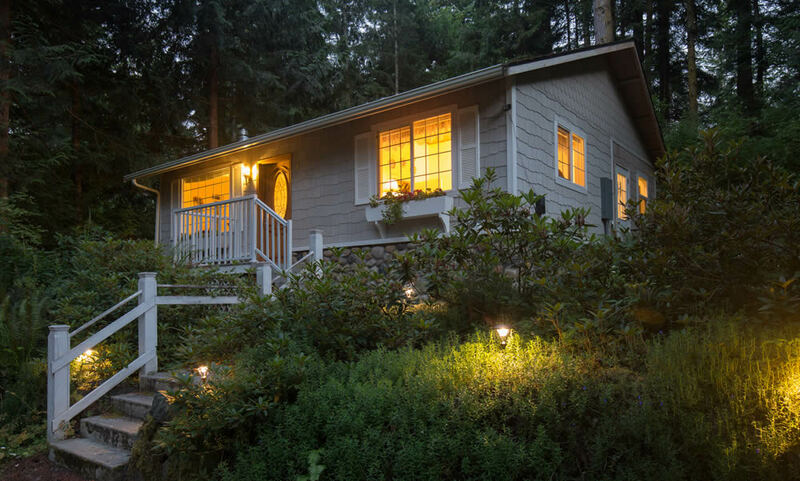 The cottage has a living room with satellite big screen TV, DVD and CD player, fireplace, full kitchen with dining area, and French doors leading to private deck with BBQ. 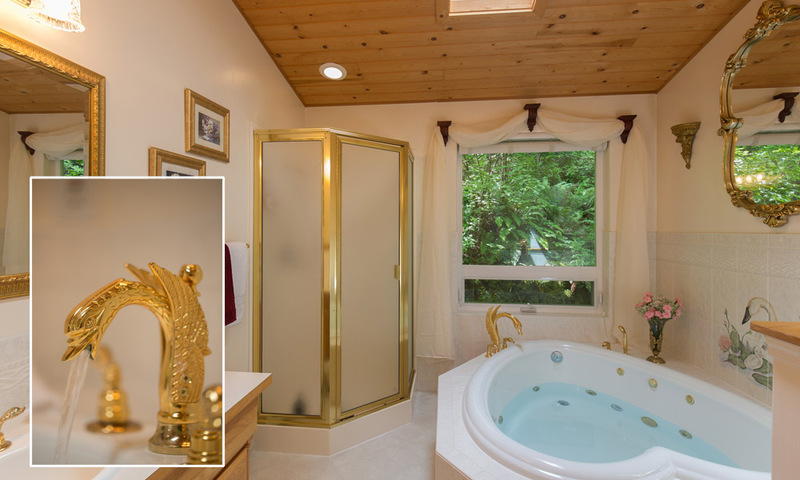 Bedroom with queen size bed, sofa sleeper in living room, skylights in every room, and bathroom with two person heart shaped whirlpool tub with gold swan faucets and a separate shower.